Hemangioblastomas are slow-growing tumors usually located within the posterior cranial fossa or the spinal cord. In children, hemangioblastomas are very rare and are almost exclusively associated with von Hippel-Lindau disease (VHL). Surgery is the main treatment option. Surgical management may be complicated by the typically large tumor size at presentation and/or its inclination to bleed considerably during surgery. 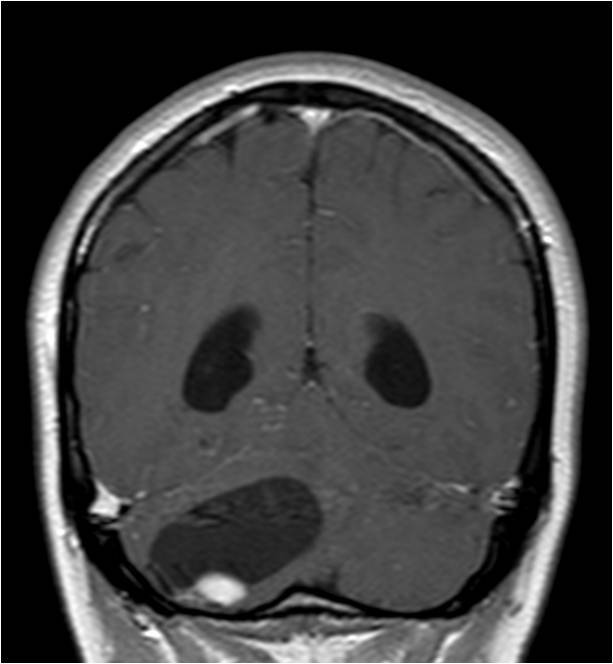 Hemangioblastoma-related surgical mortality is quite high when compared with other tumors of the posterior fossa, especially when the brainstem is involved. Evaluation: Clinical and radiological assessments should be very accurate because of the high clinical variability of VHL and the possibility of multiple disease sites. Surgery: Timely neurosurgical treatment is advisable because of the location within the posterior fossa and the typically large tumor size. Gross total tumor resection should be attempted whenever possible since it is curative.